Taco Bell's most-anticipated menu item release of the year will be available crisped to perfection with bold Mexican seasoning and served with a dippable side of warm Nacho Cheese, beginning January 25. 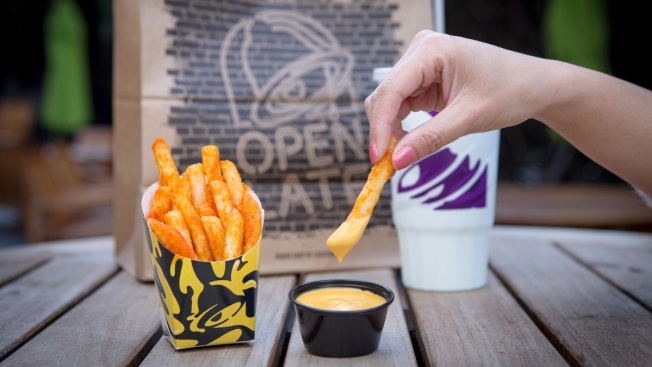 Taco Bell announced that it will begin selling Nacho Fries this month for $1 in the Dollar Menu war with fast food giants, CNBC reported. The newest addition to Taco Bell's menu is part of a strategy for the year where the Mexican fast food will introduce 20 additional new items onto its Dollar Menu across the nation. The fries will also be an available option in the $5 box meals. Jack in the Box and McDonald's have both followed suit and also introduced new additions to their respective Dollar Menu items, CNBC reported. Taco Bell told CNBC that its menu items garnered more than $500 million in sales in 2017 and its $5 boxes, which often contain its limited-time offerings, generated an additional $1 billion in sales for the brand.